Tricycles (or simply trikes) are three-wheeled mode of public transportation in the Philippines. These are gasoline-run, motorized, indigenous form of the auto rickshaw. They are usually made up of a motorcycle attached to a roofed sidecar with multiple seating. 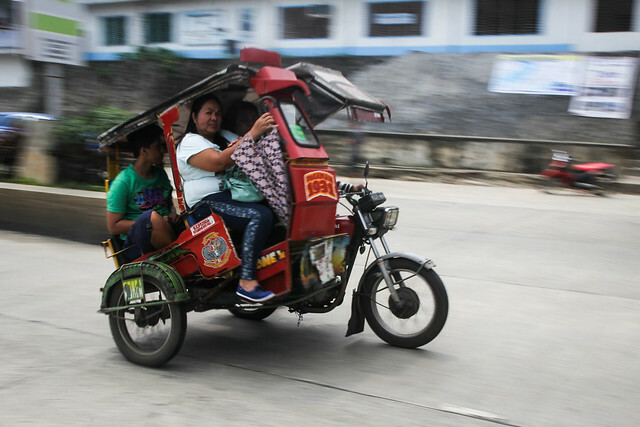 Tricycles are smaller and cheaper compared to the jeepneys, and they generally travel a shorter distance. 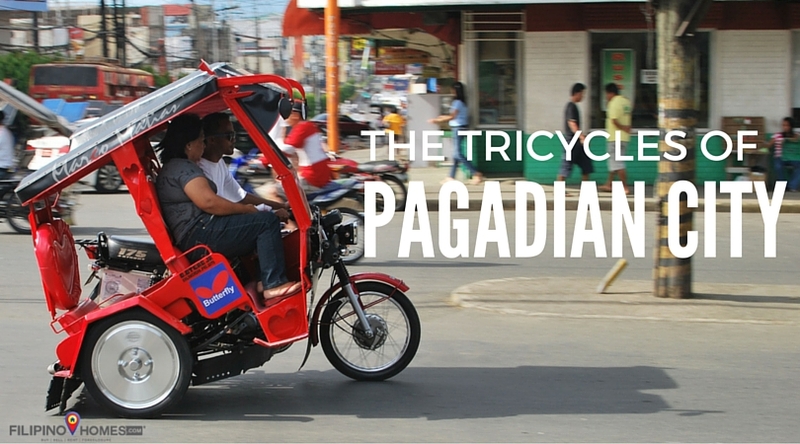 Just like the jeepney, the tricycles have become a cultural icon. 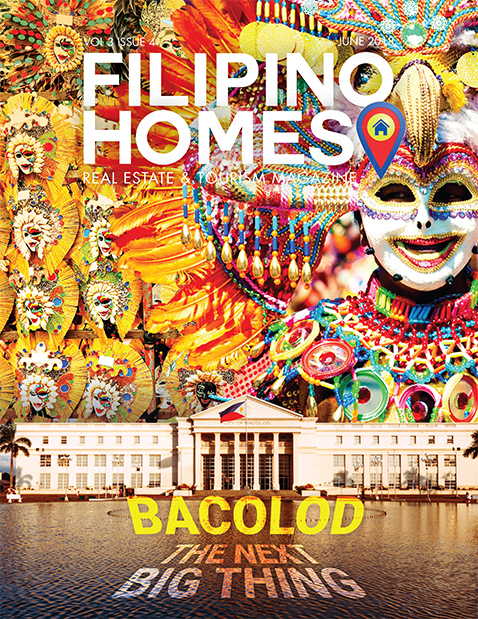 They are the epitome of Filipino ingenuity and creativity. Tricycles are built in a variety of styles, which differ from city to city. 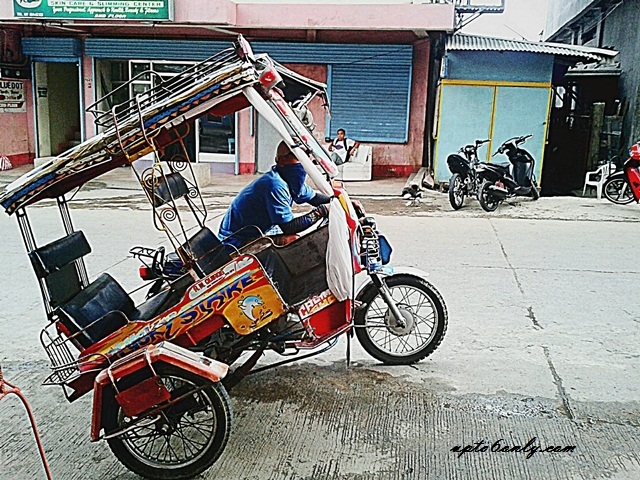 In Pagadian, tricycles stand out for their unique design. They are commonly inclined at 25- to 40-degree angle. The design allows the tricycles to adapt to the city’s hilly terrain. The inclination adds stability to the vehicle as it traverses along the steep streets. The tricycle can fit up to six passengers. Fare starts at Php 10.00 (~0.21 USD).